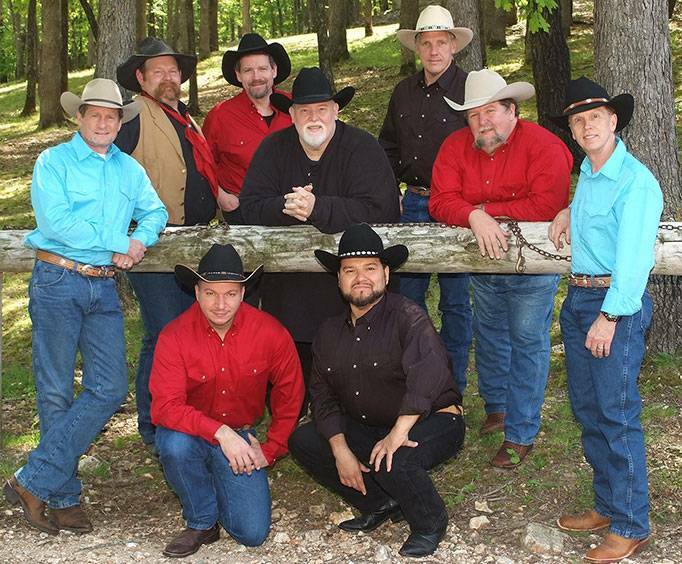 Join the outstanding musicians of New Trails from the Christmas on the Trail for their latest adventure on the Round-Up on the Trail Chuck Wagon Dinner Show! 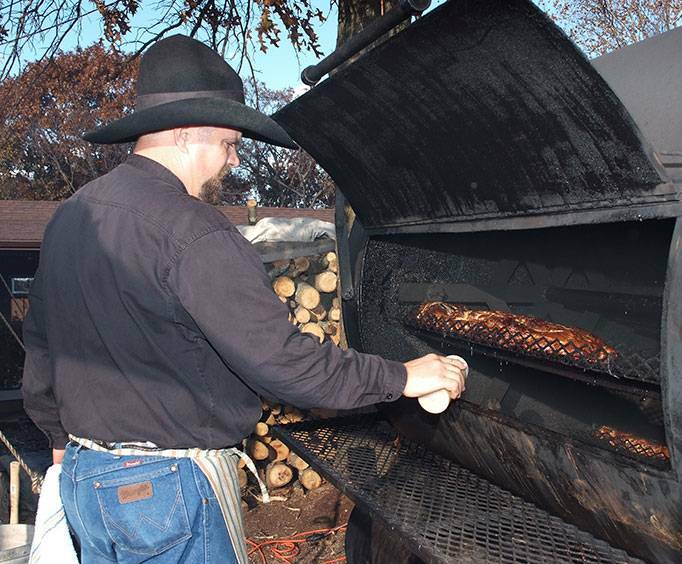 First, you will be transported to the trail by the aromas of your meal being prepared on an authentic chuck wagon, just like those that went up the great cattle trails of the 1800s. 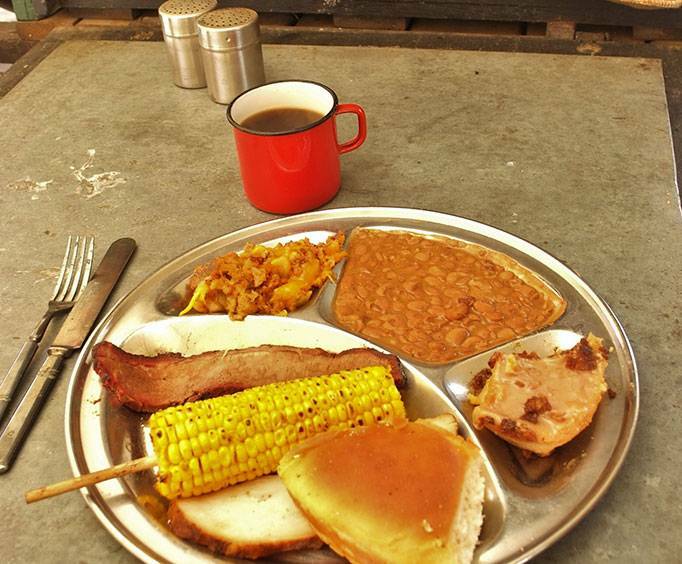 Then trail hands will get you seated and serve up a hot, hearty meal sure to stick to any cowboy or cowgirl's ribs! Enjoy a plate of slow-smoked Texas brisket, maple-smoked basted turkey breast, a big ladle of campfire beans, and so much more, and once you're done eating, it's time to sit back and be amazed as the ranch hands of New Trails take you on a music and comedy round-up like never before! These fantastic musicians will round up a variety of musical styles from their origins across the ocean to the trails that headed west and all stops in between. Celebrate not only the authentic roots of the great American cowboy in song and verse, but also tap your toes with plenty of high-energy music, performed by world-class instrumentalists, and trace the influences of American roots in some of the most popular music of today! With a wide variety of musical styles, harmonies, instrumentations, and range, from the Old West to Western Swing, and from the Old Country to the New Country, New Trails will take you on a musical adventure! Enjoy some musical surprises along the way, as well as a trip down the gospel trails. Dancing is welcome. You'll laugh like never before inside the bunkhouse, as you join the playful banter of a bunch of cowboys as they amuse you and each other with hilarious stories and cowboy poetry, as well as zany antics that could only happen on the trail. Both my husband and i really enjoyed the round-up on the trail show. The entertainers were extremely talented, the food was delicious (and plentiful) and the service was great! We liked the way the audience was invited to participate. We recommend this show to anyone visiting branson. Very enjoyable!! The food was very good as was the service. Very enjoyable and the food was delicious. Had a great time. Will do again. Tip: Arrive early, take family!